WebHarvy allows you to scrape websites anonymously via proxy servers. 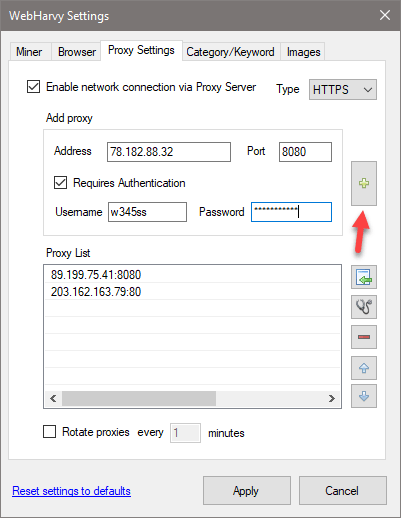 You can either configure WebHarvy to scrape through a single proxy server or to use a list of proxy server addresses which are cycled automatically after a specified time interval. You may download the 15 days evaluation copy of WebHarvy Web Scraper from http://www.webharvy.com/download.html . This entry was posted in WebHarvy, WebHarvy Feature and tagged Proxy Servers, Scrape Anonymously, Web Data Scraper, WebHarvy. Bookmark the permalink.